We give old wood a new life. We provide reclaimed hardwood flooring with years of American History to homes across the country. Our wood comes from a cotton mill in Louisiana that is 150 years old and the wood is 400 to 600 years old. We are tearing down the cotton mill and turning it into beautiful reclaimed floors. CS Floors is a local flooring contractor, with a lineage that dates back to 1962. We take great pride in providing quality products, excellent workmanship, and personalized service. Our products include the latest in carpet, tile, vinyl, hardwood and laminate flooring as well as stone, quartz, granite and laminate countertops. We also have a large selection of window treatments. Located just outside Tacoma, our mission is not just to sell flooring, but rather to sell the “right” flooring for the customer’s needs. This encompasses such things as lifestyle, how many people are in the household, does the household include children and/or pets and how much traffic will the flooring be subjected to. Let us help find the right flooring for you. As the RugnCarpet family, we are proud to present to you with the largest and the most accessible online rug store in the world. Our goal is to offer you the widest array of products at competitive rates in a safe and secure website. The world’s most beautiful handmade carpets and kilims are within your reach through our website with safe and secure checkout and fast and dependable shipping. 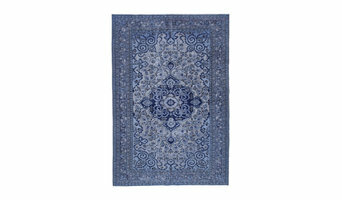 You can choose a wool or silk rug in modern, contemporary or classic designs from our website. Be sure to check our kilim category for minimal and geometric designs which offer a wide color palette in classic or modern styles. Also, vintage and patchwork rugs that we produce in our facilities are among our customers’ favorites. There is a rug for every home at www.rugncarpet.com. 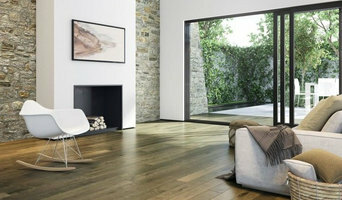 At the iFLOOR Flooring Store in Tukwila WA, you'll find the best prices on hardwood, bamboo, cork, laminate & vinyl flooring. Stop by our showroom today to see our huge selection or call for a free flooring quote. *Authorized Mohawk Dealer* We are a family owned flooring dealer located in Redmond Washington. We serve the King County Area and Snohomish County as well such as Bellevue, Kirkland, Bothell, Mill Creek, Seattle, Redmond, Mercer island, and the list goes on. 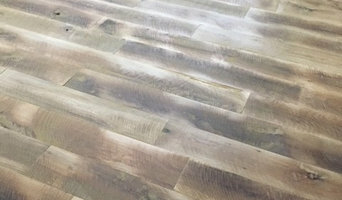 We are your one stop shop for flooring we have Hardwood Floors (we Refinish Hardwood as-well), Carpet, Luxury Vinyl Planks (LVP), Sheet Vinyl, Tile, Luxury Vinyl Tiles, and the list goes on. Our Installers are all qualified and professional and will leave your Home looking stunning. We are authorized dealers for the top brands in the business such as Mohawk, Tuftex, Shaw, etc. We pride ourselves in our detailed work and customer service that bigger companies will lack. Our goal is to provide you with the best quality service and products possible. Flooring doesn’t have to be difficult and we strive to make the job easier for you. We are competitive in pricing and we have a vast selection of samples to choose from at our showroom more than many others won’t have. You can always count on Best Buy Floors to get your floors done professionally and to have the newest and most innovative products in the flooring market. Contact us today Via Houzz Messaging, Phone, Email, or even drop by our showroom in Redmond. Miguel has been in the flooring industry for over 25 years. Starting as an installer, Miguel learned every aspect of the flooring industry. With his meticulous nature and knowledge of the trade he later expanded his business to a family owned and operating flooring provider. His experience and close attention to detail is conveyed into to every project. Keeping up with the latest fashions he makes sure showroom conveniently displays the most innovative and quality products. Together with his qualified installation teams and knowledgeable flooring professionals, they make every installation as seamless as possible! 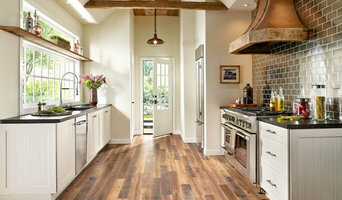 Hardwood flooring Contractor Serving the greater Seattle, Tacoma area. Specializing in Hardwood floor refinishing and installation. Quality , Integrity and value since 2001. "We put Moore into your wood floor"
*Authorized Mohawk Dealer* Meyer Floor Covering is a carpet, tile, hardwood, vinyl, counter-top and rug dealer serving the greater South Puget Sound metro area and surrounding communities. We value your business and promise to work hard to exceed your expectations. Our mission is to become your primary floor dealer and offer you professionalism that we're sure you'd be proud of. In the same location since 1952, we have been a top contender for choosing styles and colors from our showroom of: • Carpets • Tile • Vinyl • Hardwood • Natural Stone • Granite • Marble • Slate. We do our own installations and guarantee prompt high-quality workmanship. Our staff is highly trained and experienced. We are eager to give you the advice you seek when choosing the best floor options for your home or business. Visit our showroom and design center or call today! Customers Happiness is OC Flooring's number one priority. For the last decade OC Flooring has done great amounts of various Hardwood Installations, Refinishs and Repairs in the Washingtion Northwest Area. From the start our aspiration has been to exceed expectations to the customers needs and desires. We take full responsiblities for our work; and our reputation is greatly valued to us. OC Flooing does jobs from the smallest repairs to as big as the customers imagination. OC Flooring offers the viewers and customers Video Tutorials and detailed step by step instructions of how to self Install, Refinish, and Repair any hardwood floors. We hope to Help with any Questions and Thank you for choosing OC Flooring. Family owned and operated business with attention to detail and personal approach. Pricing is always competitive. Client satisfaction and quality of work is our #1 priority with excellent after sales services, and warranty. We’re your family-owned, neighborhood flooring experts. Drop by and let us help you choose the perfect flooring for your particular home and lifestyle. We can help with a simple floor change to a whole bathroom remodel. No job is too big or too small. We just appreciate being able to help you with your project. Ed Selden Carpet One Floor & Home is so sure you’ll be 100% happy with your new floor, that we offer The Beautiful Guarantee. If you aren't happy with your floor for any reason, we'll replace it at no cost — including installation! We are DJ’s Hardwood Floors; we have been in business since 1993. Our Motto is, “We Stand On Our Work”. We believe that we cannot be happy unless our customer is happy and our goal is 100% satisfaction. We realize that we cannot always achieve that goal but we will do all that is within our power to do whatever is humanly possible to make that goal a reality. Pacific Northwest Hardwoods LLC is your hardwood flooring specialist, with over a decade of experience here in the Seattle area. Pacific Northwest Hardwoods LLC was created with you in mind. We are here to provide quality craftsmanship as well as build a long standing relationship with our clients. Quality work, communication, cleanliness and professionalism is our guarantee. Homa Rugs has been providing beautiful handmade rugs to Seattle and beyond since 1986. The owner, Ahmad Mohammadian, learned the rug trade from his father and grandfather while growing up in Tehran. Today, he passes that knowledge along to his two sons, Bijan and Kayvon, who have joined the company to continue the tradition of buying and selling beautiful handmade rugs. With decades of combined experience, we hand pick each and every piece which comes into our showroom, much like our customers do. We carry hundreds of rugs in our downtown showroom for you to choose from in every shape and style, ensuring that you are sure to find a rug to fit any space in your home. We are one of the Northwest's premier flooring companies, with over 38 years in the business with locations in Kirkland and Tukwila. We specialize in providing flooring materials, installation, design and project management assistance to premier builders, the construction industry and other professionals. We are a young, enthusiastic company passionate about our customers and committed to being the absolute best flooring company in Washington state.